I was very saddened to hear about the passing of Dixie Carter on Friday. 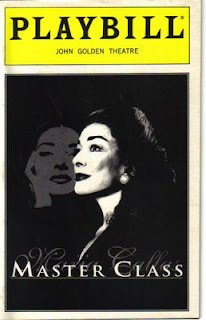 In 1996, I had the pleasure of seeing Dixie Carter play Maria Callas in Terrence McNally's Master Class on Broadway. What a spectacular performance. She commanded the stage and certainly made one feel as though they were truly sitting at Juilliard watching a Master Class given by one of the most -if not *the* most- famous opera singers we've known. Dixie Carter truly grasped the flawed genius of Maria Callas and gave us the sense that Callas was always fighting the urge to perform while she fulfilled the obligations of teaching the classes. This latest installment of Another Favorite Clip is one of my faves of Carter as Julia Sugarbaker. Enjoy!